The Invicta Dynamos are delighted to welcome back one of the club’s current longest serving players after 23 year old Kent born defenceman Harrison Lillis penned a contract to keep him at the club for 2017/18. Harrison Lillis’ link to the Invicta Dynamos dates back to his junior years as he rose through the ranks in Gillingham before making his senior debut for the Mustangs in the NIHL South’s second tier in 2009/10 aged just 16. Since that time the blue liner has been almost exclusively a one club man but for a brief stint in South London with Streatham for a part of the 2013/14 campaign. 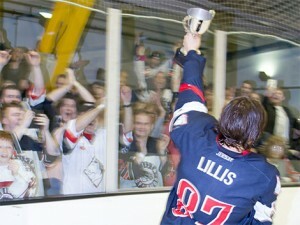 Lillis first represented the Mos in 2011/12 and has played a part for the Dynamos every season since – winning an NIHL Southern Cup and most recently an NIHL Southern Playoff title along the way. The young skater has previously iced in attack and in defence but recent campaigns have seen him establish himself as part of the side’s rear guard and look increasingly comfortable in staring down the league’s top forwards. In 2016/17 Harrison Lillis was a regular on the Dynamos blue line and featured in 40 of the team’s 46 league, cup and playoff fixtures. That record means he has now donned a Mos jersey on 240 occasions – a total that only 15 other players can surpass in the club’s entire 20 year history. During those appearances the team stalwart has managed 11 goals, 23 assists, 34 points and 249 minutes of penalties and now he returns certain to add to each tally as he represents the Mos again in 2017/18. Speaking on the return of defenceman Harrison Lillis, Head Coach Kevin Parrish said, “Harry is only 23 but it seems as though he has been a part of this club forever and I think that gives an indication of how passionate he is about representing the Dynamos and pulling on that jersey. In recent seasons he has settled in to his role as a defenceman and earned his place in the NIHL South Division 1 and now 2017/18 will give him an opportunity to develop even further as we face increased competition following the summer reshuffle. Harry is a no nonsense player who focusses on doing the basics and putting his body on the line to keep this team ahead. He continues to work hard to make sure he is in peak condition for the hockey season and I’m delighted he has agreed to continue his hockey career with us for a seventh season”. 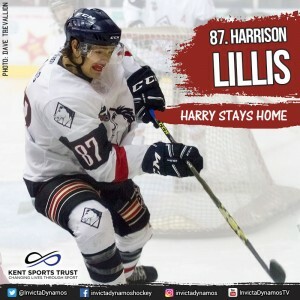 Harrison Lillis, who will continue to wear the number 87 jersey, is the eighth player to be confirmed by Head Coach Kevin Parrish this off season and the third defenceman following the returns of Ondrej Zosiak and Tommy Ralph. News of a ninth player to commit to the Mos for 2017/18 will be announced on Friday. Warm-up Jersey – For just £125 get your name or logo printed on the back of Harrison Lillis’ warm-up jersey. Sponsors are also named on our website and in our match day programme and then presented with the jersey to keep at the end of the season. Game jerseys – For just £150 get your name or logo printed on the back of Harrison Lillis’ home or away game jersey. Want both? For just £250 for individuals / £300 for businesses get your name or logo on the back of each of Harrison Lillis’ game jerseys. 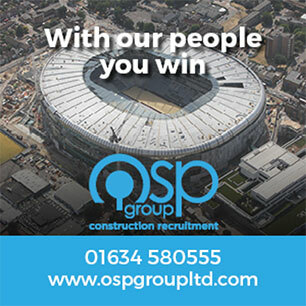 Sponsors are also named on our website and in our match day programme, are announced over the loudspeaker during player introductions at every home game, receive a programme advert (business sponsors only) and are presented with their jersey at the end of the season.